There’s just something about painting 3D objects that’s a fun, fun change from canvas. 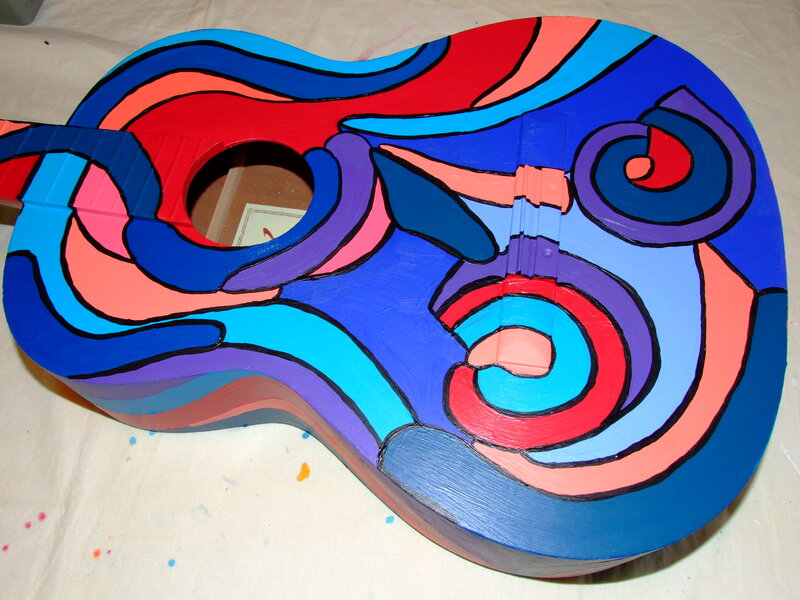 The guitar is progressing beautifully. I’m just waiting for some of the detail work to dry before adding the hands. 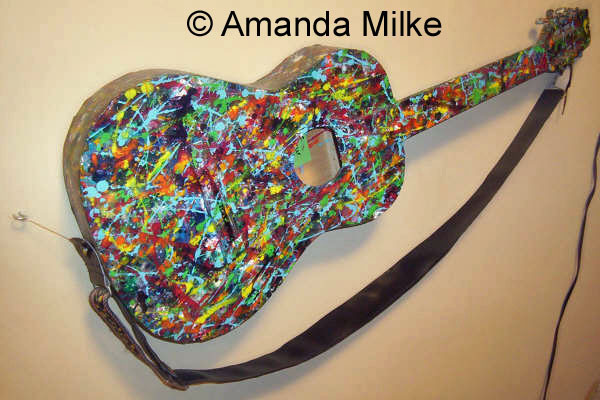 This entry was posted in Abstract, acrylic, Art, Artist, canada, commission, female artist, Musical Instruments, Paintings, photos, Uncategorized and tagged 2008, Abstract, acoustic guitar, acoustic guitar art, acrylic, Amanda Milke, Art, Art article, blue, blue tones, commission, guitar, guitar commission, musical art, musical instrument art, painting, red, stainglass, the colour of music, The Milke Way on September 26, 2008 by Amanda. 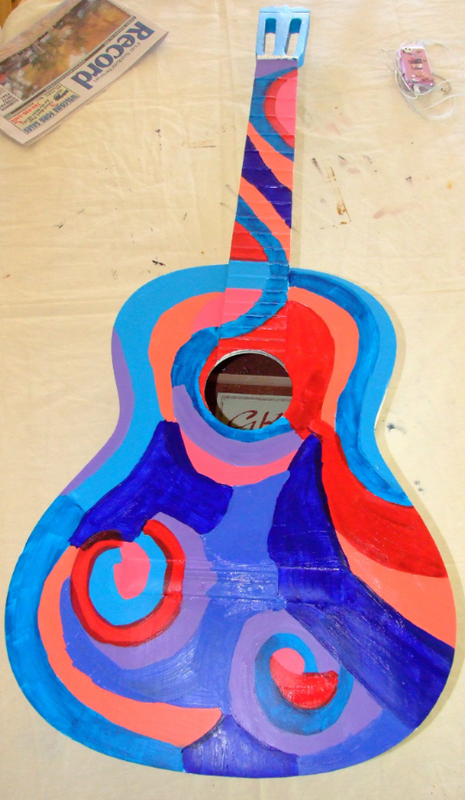 As I mentioned in my previous post I’ve received a commission to paint an acoustic guitar. 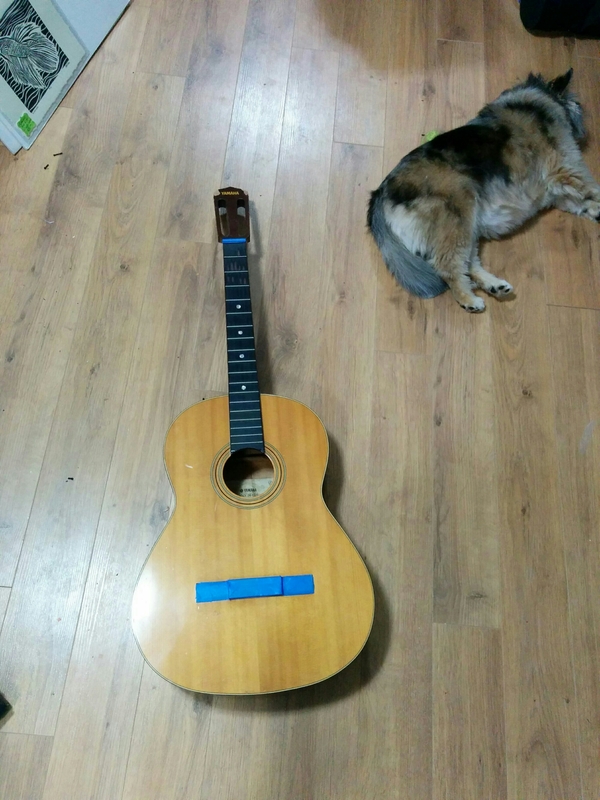 For fun, I thought I’d post the progress here. 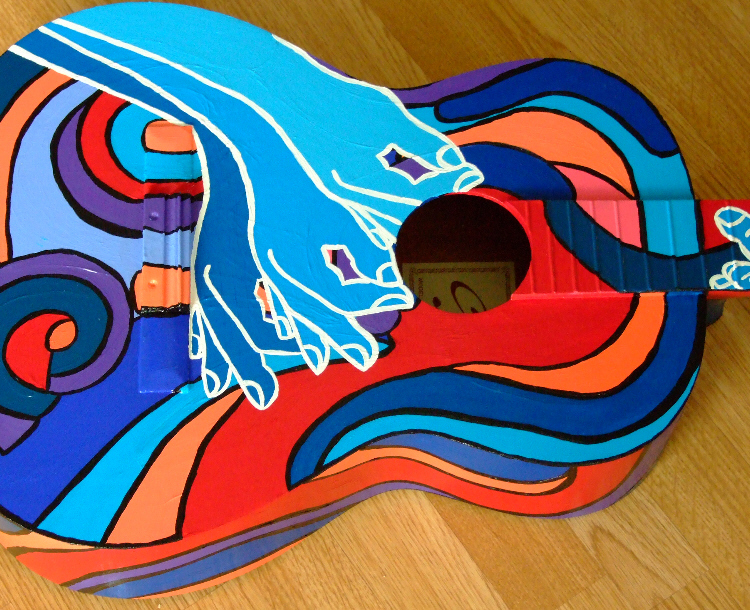 The guy who is commissioning it wanted a sense of abstracted hands moving/playing guitar. This entry was posted in Abstract, acrylic, Art, Artist, canada, commission, creative, digital art, Drawings, For Sale, Musical Instruments, Paintings, photos, sketches, Uncategorized, Wacom/Tablet and tagged 2008, Abstract, abstract artist, acoustic guitar art, acrylic, Amanda Milke, Art, Canadian Artist, commission, female artist, guitar commission, guitar painting, musical art, musical instrument art, TheMilkeWay on September 23, 2008 by Amanda.